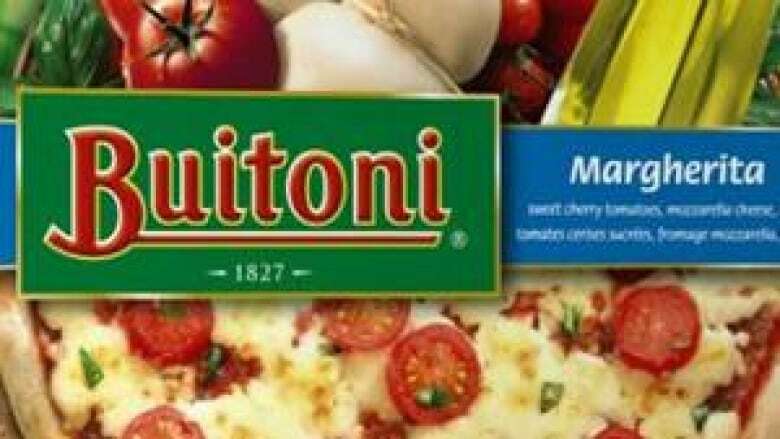 Nestle Canada is recalling five varieties of the Buitoni brand of pizzas because they may contain pieces of metal. The pizzas are a product of Germany and have been distributed across Canada. The Canadian Food Inspection Agency says there have been no reported consumer complaints about them in Canada. But at least two complaints have been reported in Europe, according to the just-food.com website. The agency says it's monitoring the effectiveness of the recall. The agency lists the affected UPC codes on its website.